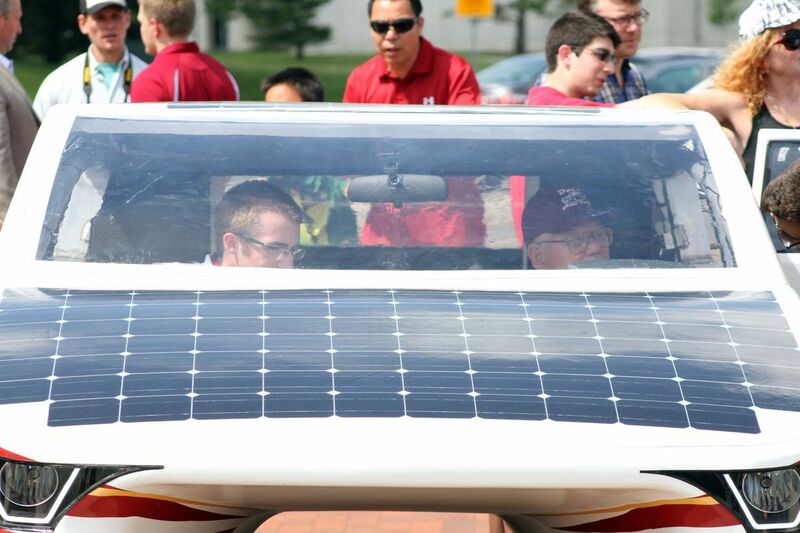 It’s a bird…It’s a plane…No, it’s a practical solar car changing the paradigm of transportation! Solar energy is becoming a hugely popular thing recently. It is energy efficient and better for the environment. Some people are even getting things like these AGM Solar Batteries to help them out with their solar energy. Now solar energy for your house is nothing new, but when it comes to this practical solar car, it’s a very new and exciting thing. If by chance you’ve been in Iowa within the last couple of months, you may have seen a slightly foreign-looking object roll by you on the road. 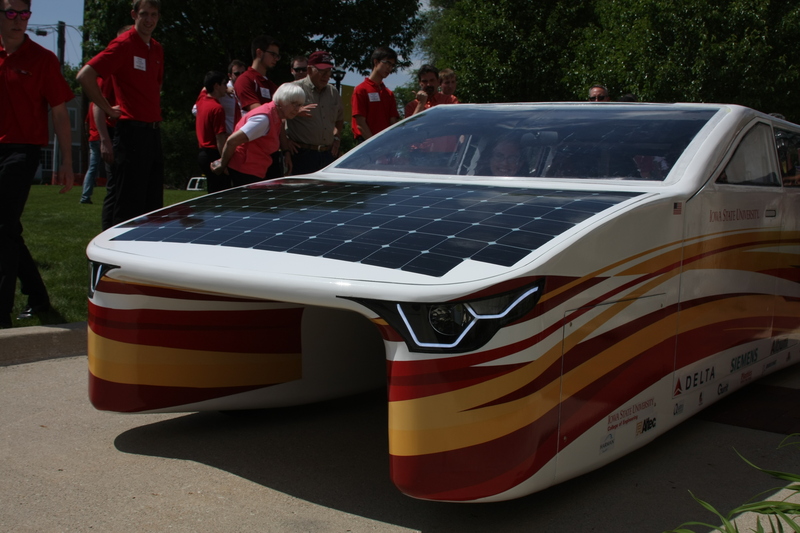 This is Penumbra, the solar car made by Iowa State students from PrISUm, the university’s student-run solar car team. 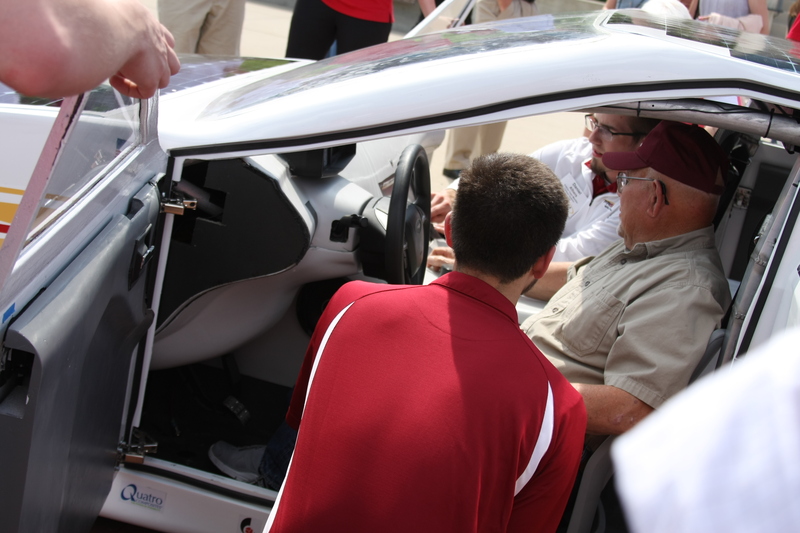 The club, an advanced research and design project for renewable and automotive technology, was founded in 1989 by a group of engineering students. 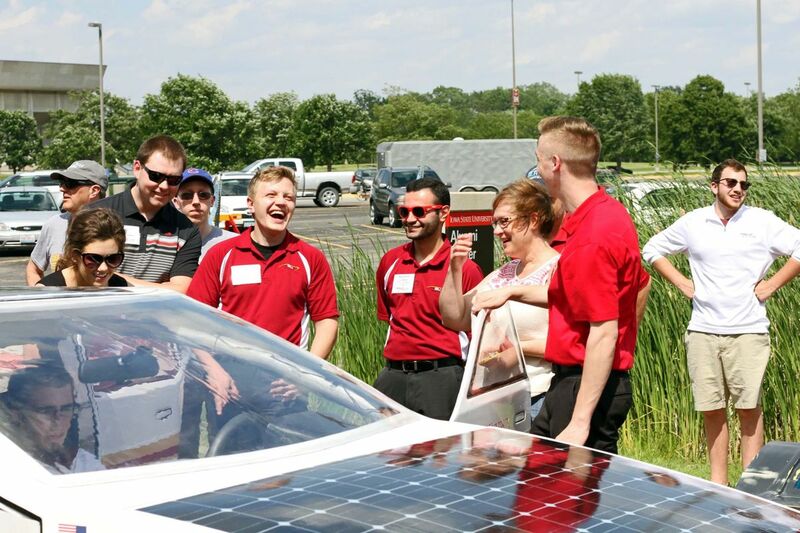 It’s now grown to over 100 students, who, for the past two years, have been hard at work on their latest project: a practical, everyday solar car. Past PrISUm cars typically haven’t resembled anything you’d normally see on the road — they are one-seat racecars. But the team took a different route with Penumbra. 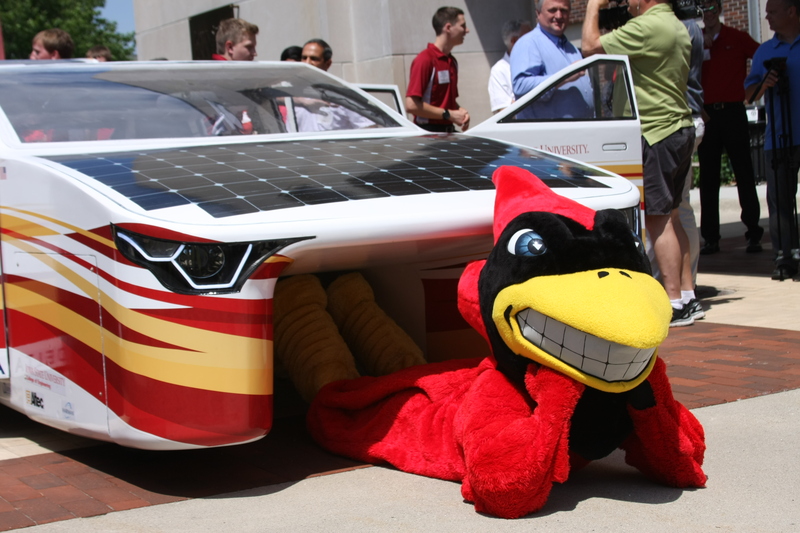 The four-seat mashup of solar car and SUV is something you could feasibly take to the grocery store or shuttle kids to sports practice in, and it can still hit a speed of about 70 mph. It’s something that could break the transportation archetype. 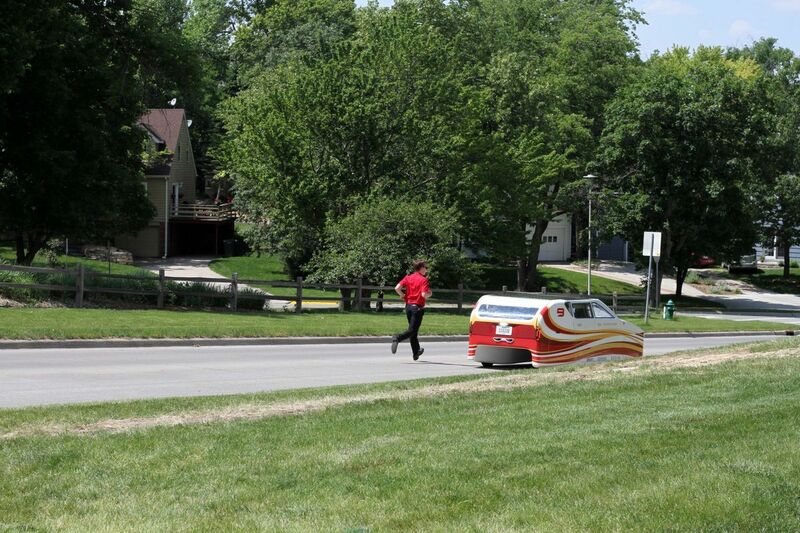 Penumbra made its public debut on June 2 in Ames, Iowa, after which it embarked on a driving tour through Iowa’s 99 counties. Later this year, the car will make an international trip to Australia for the Bridgestone World Solar Challenge, which runs from October 8th through October 15th. Teams begin in the northern city of Darwin and race 1864 miles to the southern city of Adelaide. 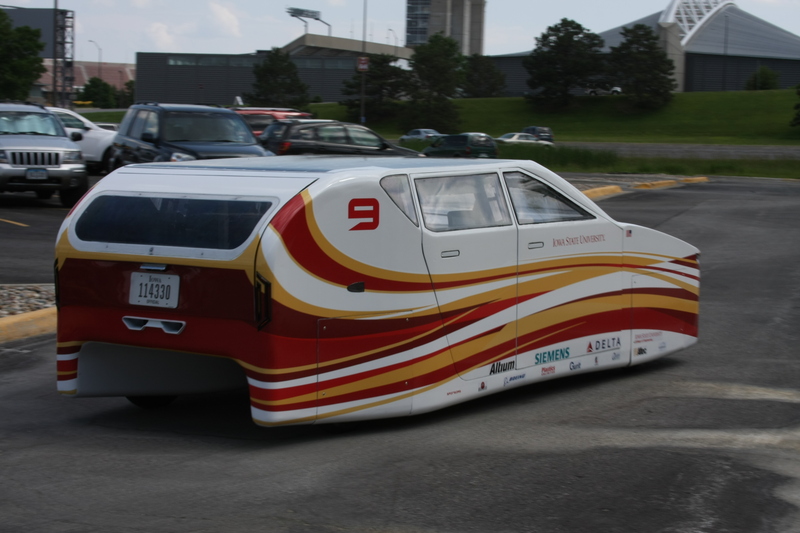 The cars must obtain 90 percent of their energy from the sun or recover the vehicle’s kinetic energy. The development of of Penumbra was no simple feat. Years of work and around three-quarters of a million dollars went into its development. Beyond the prototyping stage, the PrISUm team also took advantage of 3D printing for final part small-batch manufacturing. Kraus, for one, designed parts for the battery box ventilation to be printed for the car. 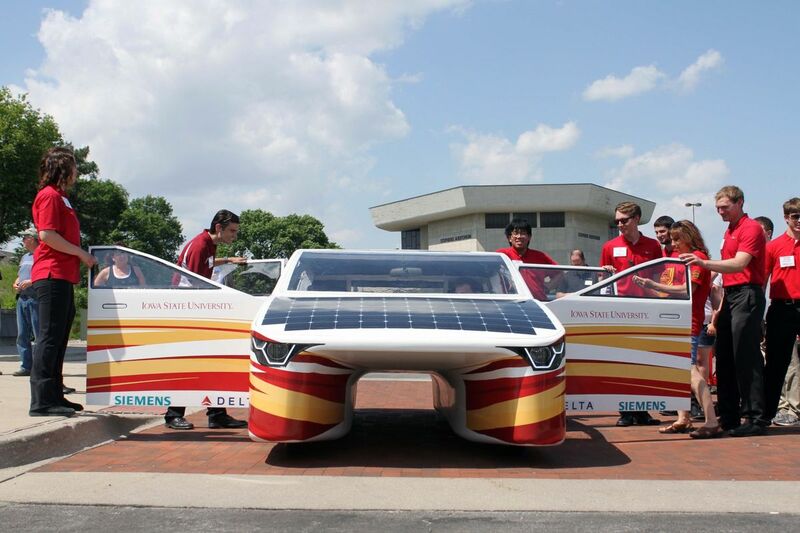 So how will 3D printing impact PrISUm’s future solar car development? The team’s first year using the technology was a success, and Kraus recounted how heavily they leaned heavily on it throughout the process. As for what the future holds: “We plan to use it a lot because of how precise the parts come back,” he mused. “We are even starting to experiment with metal 3D printed parts.” Car parts can get pretty expensive which is why people often use coupons and find deals for Jegs and other auto part companies. I wonder how insurance companies will tackle the issue of insuring these kinds of vehicles will be. I imagine websites that do fantastic price comparisons for drivers to get cheap car insurance quotes will figure it out! Here’s to a future of sunny days for Penumbra and the PrISUm team — best of luck in Australia! 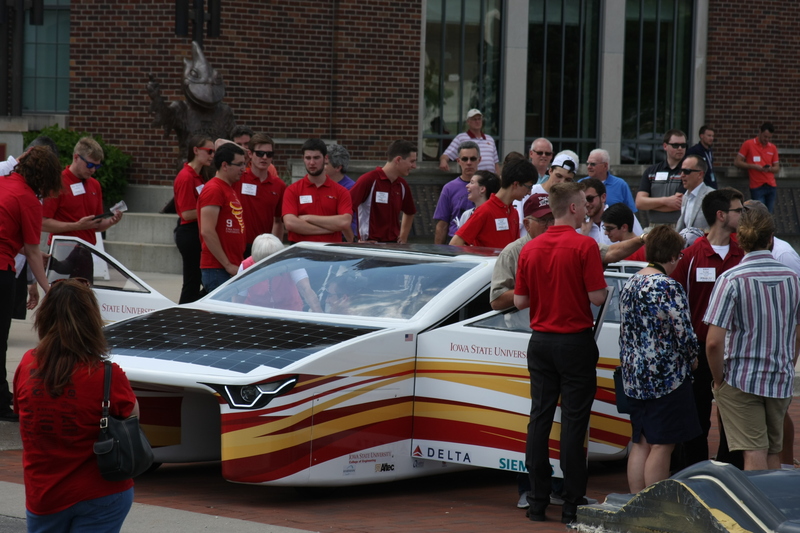 The above story refers to a collaboration between Iowa State University and re:3D. Our Head of Engineering, Matthew Fiedler, explains how this solar car team from Iowa came to be in touch with our team down in Houston. One of the ISU teammates was a summer intern with re:3D two years ago. [PrISUm was] in need of 3D printed parts for their SUV. They went to ISU’s multi-million dollar 3D printing lab and received a very high quote to fabricate the parts. Parts fabricated by re:3D were much lower-cost, so they decided to go with us. Our Houston team printed cooling ducts for the car’s battery pack – critical for solar vehicle performance – and sent the parts on their way north to be installed into Penumbra. Just as the PrISUm team is excited to continue their foray into 3D printing with projects to come, Matthew too sees the vast potential in this industry as well as others.